I feel like, by now, that moms earning from home should be a mainstream idea – but it’s not. (I know this from the looks I get when I tell people I work from home.) Even though working from home isn’t quite mainstream yet doesn’t mean it’s not a very real thing! If you’ve been looking for ways to supplement your family’s income, bring in a full-time income from home, or start your own home based business, I’ve got your covered. If you’re looking for a company to hire you for a work from home position you’ll want to check out these jobs. Most are flexible and provide part-time to full-time hours. Become a Virtual Assistant with Time, Etc. 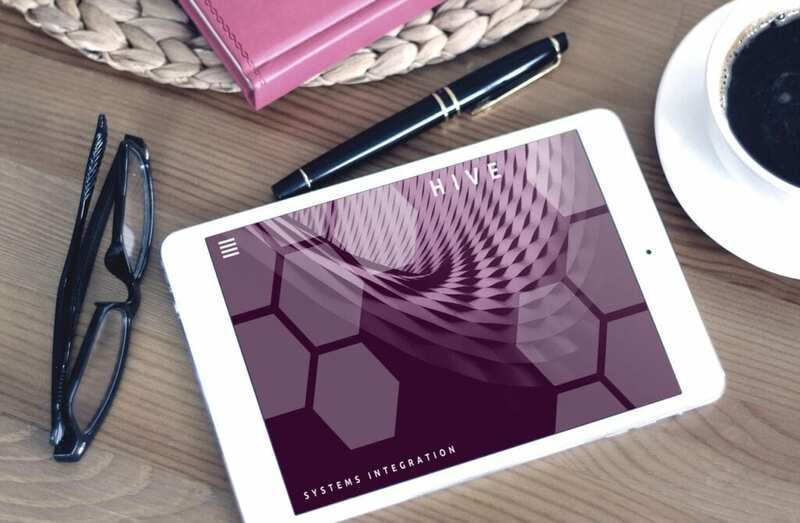 – This company hires virtual assistants to perform administrative tasks such as hotel and flight booking, data entry, social media scheduling and more. The hours are flexible and starting pay is $11/hr. Write Resumes for Talent, Inc. – Talent, Inc. is a company that hires resume writers. Pay is per job so that amount you make per hour depends upon your skillset and speed. Become a Work From Home Stylist for Stitch Fix – The popular clothing company Stitch Fix hires work from home stylists in certain areas. Starting pay is around $15/hr. 5 Companies that Hire for Data Entry – If you’re looking for entry level data entry or “typing” jobs here are five companies who continuously hire. 50+ Legit Work from Home Job Opportunities – There’s a ton of work from home goodness in this post with dozens of companies who hire remote employees. Where to Find Online Transcription Jobs – If you have transcription skills there are many places that hire. Here are five of them. 15+ Companies that Will Pay You for Your Opinion – All kinds of good stuff in this post including the top (completely legit) survey companies, focus groups, and more. Earn Rewards Scanning Your Groceries with NCP – NCP is a Nielsen company that will reward you for downloading their scanner app and scanning your purchases each week. 7 Companies that Will Pay You to Test Websites – You can earn $10 for 15 minute tests. This is a great side gig but comes with limited opportunities. 10 Extra Income Ideas for Introverts – If you’re an introvert like me you’ll love these extra income ideas. None of them require talking on the phone or video chat! Become a Search Engine Evaluator with Leapforce – Search Engine Evaluators are given specific terms to search for in search engines and have to evaluate those results. Pay is usually around $10/hour. 6 Ways to Make Money Doing Internet Research – If you love to research and feel like your online time is spent looking up new ideas then this could be a good fit for you! How to Earn Money From Your Phone – Don’t have a computer? No problem. You can still earn some extra cash. This post goes over six popular ways to earn from your phone. 7 Companies that Hire Brand Ambassadors – Brand Ambassadors are those people you might see on the street or at conferences passing out samples for a particular brand. You can earn up to $20 per hour as a brand ambassador. Top Rated Mystery Shopping Companies – If you’ve ever thought of trying out mystery shopping these companies all have an “A” or higher rating from the BBB. My favorite way to earn money online is through freelance or home-based businesses. When you have your own business you’re more in control of the amount you make and how much time you work. The only downside is that you first have to put in the time to build the business and get clients. How to Become a Professional Blogger – As crazy as it sounds many bloggers earn a full-time income from their blogs. (Including me.) However, blogging IS NOT something you can do and expect to immediately earn money from, regardless of what anyone tells you. It typically takes about a year to see good results. 5 Ways to Turn Social Media into a Business – If you want to make social media your full-time gig here are five ideas for making it happen. Become a Freelance Writer – If you have writing skills you can turn them into cash by writing for blogs and other online publications. This post covers my process for getting freelance writing jobs with no prior experience. Top 5 Ways to Work at Home with Amazon – Amazon provides many opportunities for both work at home jobs and business ideas. If you feel like your skills aren’t up to par for the work you want to do or if you just want to learn a new skill these courses are all free! 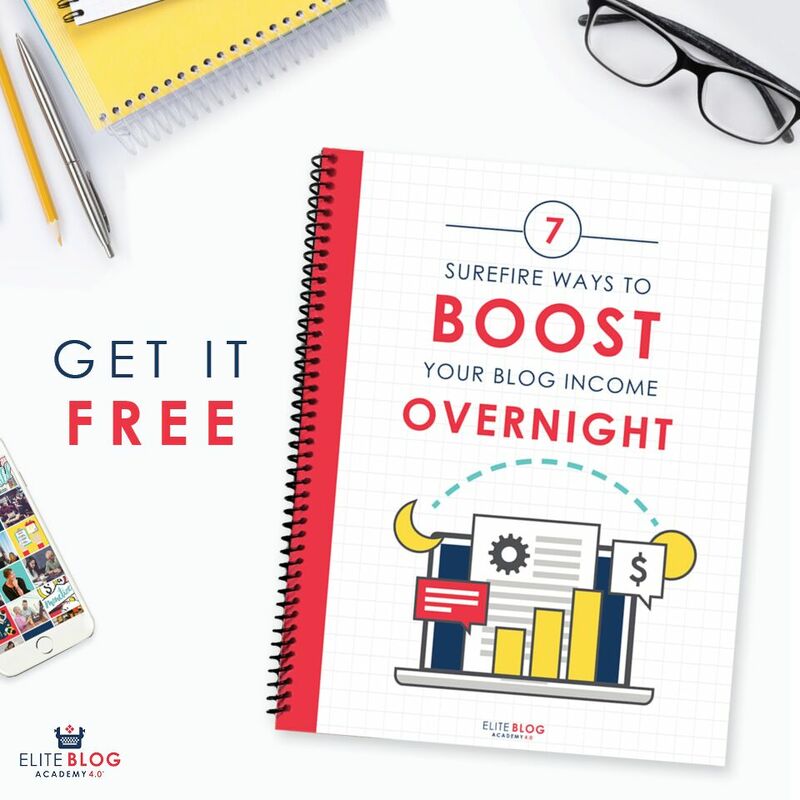 7 Day Blog Biz Start-Up Challenge – If you’ve ever wanted to start a blog but are confused about the technical aspect this challenge is for you. It also comes with a discount for GoDaddy so you can get your first year of professional blog hosting for only $12. Jumpstart Your Virtual Assistant Career – This is a free email course from successful virtual assistant, Gina Horkey. 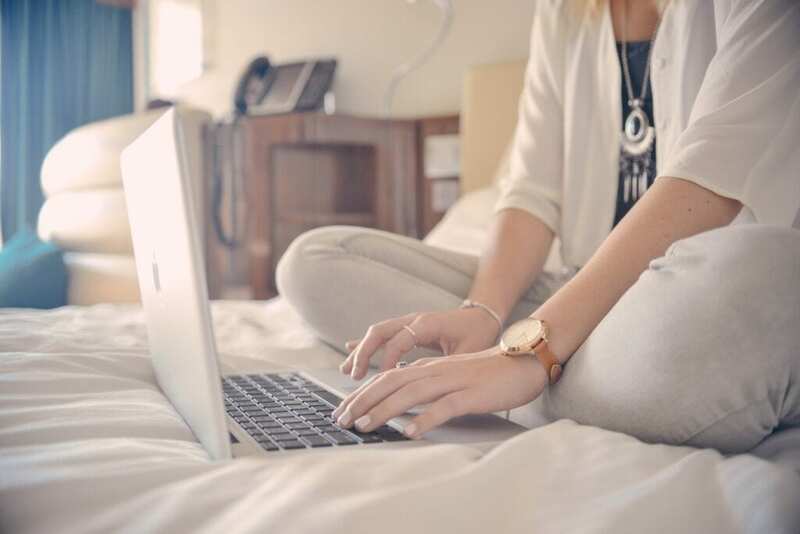 Kickstart Your Freelance Writing Biz – This is another five part email course that will teach you the basics of starting a successful freelance writing business. 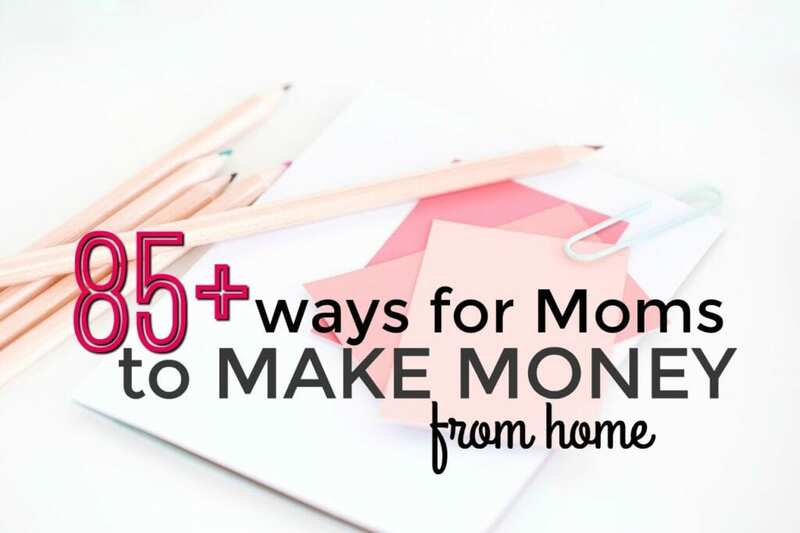 Can You Really Make Money From Home? If you’re new to the idea of working from home it can be hard to wrap your mind around it. All of the companies on this list have been researched by me or my team and are legit. I’ve also tried a good majority of these ideas in my quest to build a business from home. You can check out my past income reports if you want to see how I earn a living online. However, I recommend that you go ahead and give a few ideas a try. It might take a few different tries before you find what works best for you. If you have any questions let me know in the comments! 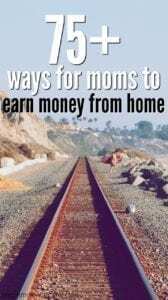 Some great options here for a stay at home mom to earn some extra cash. My wife has stayed home for the last 12 years and she’s done a number of these to help pitch in with the family finances. That’s awesome 🙂 There definitely are a ton of opportunities and should be something to fit a plethora of different skill sets and interests. This is an amazing list, whether you are a stay-at-home mom or not! So many great options here. Thanks for sharing! 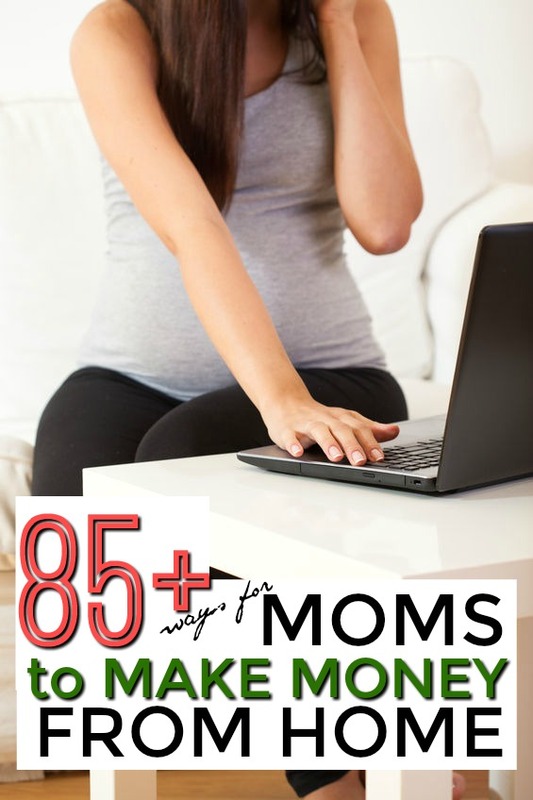 Huge list with a ton of great opportunities for mom to make money from home. I have tried several of them myself! Kecia – I am totally new to this and I have been doing some research to get started. How has it been working for you? Thank you for the great ideas!